Be fraud aware! November 3rd-8th is International Fraud Awareness Week. Visit www.whistleblowersecurity.com for the latest industry news and all your current fraud prevention tools. Happy Halloween! According to recent public statements by a high-ranking Securities and Exchange Commission official reported by The New York Times, the SEC expects to bring more enforcement proceedings in front of its own administrative tribunals. Driving this trend are recent legislative changes under the Dodd-Frank Act which expand the powers of the SEC in so called “cease and desist” administrative proceedings. Before Dodd-Frank, only regulated entities and individuals could be the subject of civil monetary penalties in proceedings heard by SEC administrative tribunals. If the SEC sought monetary penalties from unregulated entities/individuals, it had to bring the matter before the courts, where respondents are afforded certain procedural protections not available in administrative proceedings. 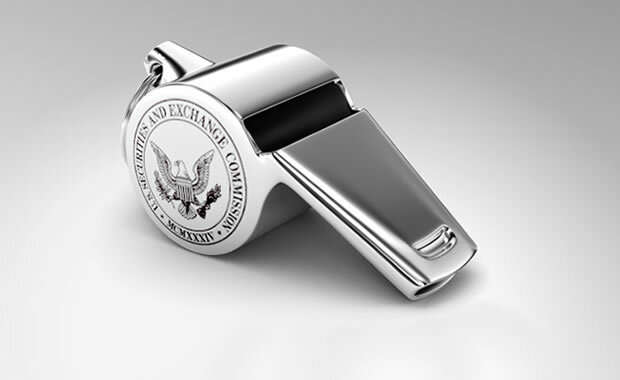 Recent legislative changes now allow the SEC to seek civil monetary penalties from both regulated and unregulated entities/individuals at hearings held before its internal administrative tribunals. Ever since Mary Jo White settled in as chairwoman of the Securities and Exchange Commission, lots of tough talk has emanated from the agency about enforcement priorities. Earlier this month, Andrew Ceresney, co-director of enforcement, told an audience in New York to expect bolder actions out of the agency, especially when it comes to penalizing individuals. The S.E.C. has many weapons in its arsenal. One that is not so well known is its internal court system, overseen by administrative law judges. This is the place where the S.E.C. brings civil enforcement suits that it has not, for various reasons, filed in federal district courts. Because of a recent change in the law, these tribunals are likely to hear more cases. The enforcement matters taken to these venues are heard by judges employed by the S.E.C. and housed at the agency but who are charged with being impartial triers of fact. These judges hold public hearings, issue decisions and impose sanctions, including revoking brokers’ or investment advisers’ licenses and ordering monetary penalties. The S.E.C. is not alone in using administrative law judges to decide legal disputes. Some 30 federal agencies, including the National Transportation Safety Board and the Social Security Administration, do so as well. S.E.C. officials like the system. However, some legal experts say these proceedings suffer from potential bias because the judges operate within the agency bringing them. The possibility of a home-court advantage or a sympathetic adjudicator, critics say, raises questions of fairness, especially for individuals defending themselves in these matters. S.E.C. officials reject the notion that the judges are biased. Still, questions of fairness are likely to resonate, given that a legal change under the Dodd-Frank law means that more securities law cases are likely to be brought before these tribunals. Under previous law, the agency could bring cases in an administrative forum only against individuals associated with regulated entities; cases against people who were not employees of brokerage firms or investment advisers had to be heard in district court. The new law changed that. And because some cases can be heard only before an administrative law judge, it’s worth exploring their workings and whether there is a better alternative. The S.E.C.’s track record in these proceedings is impressive. Among cases filed in fiscal 2011, the most recent period for which all the matters have been decided, the agency won seven of the eight matters that went before an administrative law judge. That’s an 88 percent success rate. Concerned about the potential for bias, but wanting to maintain a streamlined process, roughly two dozen US states have replaced internal administrative adjudicators with an independent corps of judges assigned to preside over a wide variety of matters.